Want to create a bootable ISO File of a Windows 7 or Vista Operating Systems? Its too easy to make an OS bootable, just follow the steps. So you want to create a bootable Windows ISO file. 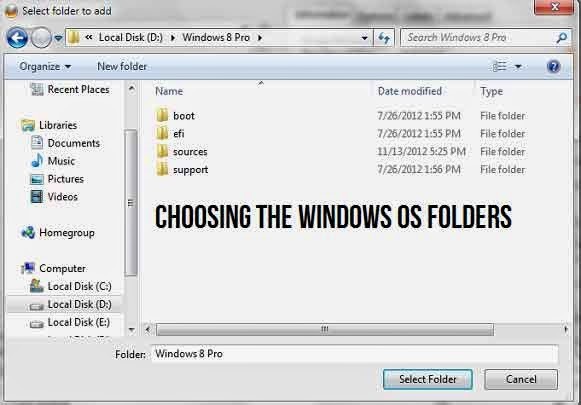 In the tutorial, we will cover each necessary steps in creating an ISO file which can be use in booting. We will use ImgBurn to accomplish this. I am sharing many Window tricks for you like Aero Glass Transparency effect in Windows 8 and much more. Check out more tricks on Windows category. Many users felt problems in booting from an ISO Windows file, if it doesn't contains ISO image file which is used in booting purposes. Some users also face problems in creating a proper ISO file from extracted OS files. Let's know see the process. At first download ImgBurn from this link. The link will take you to the official download page. Please avoid downloading from other sources as these types of files can be packaged with Malwares and Adwares if you will download it from unofficial sources. Now, choose the option which you needed, in this post, we will create a bootable ISO from files and folders. Note: If you have an ISO file which you think is non-bootable than extract that ISO file using WinRAR or 7-ZIP or any other program to a folder. 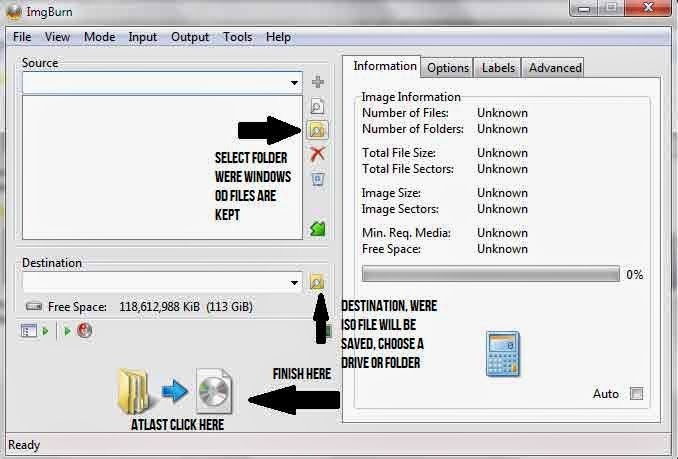 After extracting the file from non bootable ISO file, open ImgBurn and click on Create Image File from files/folders. After that, you will see the following Window. Select the Source folder (where you have kept or extracted non bootable ISO file or extracted OS files). See the image above. Now, after choosing the source folder, choose the folder were you want the bootable ISO file to be saved. We have now finished choosing the source and destination folder. Let us now enable bootable disc option, so that we can create image bootable. Click on the Advanced Option, after that click on Bootable Disc. See image below to understand more. After that, you will need to choose Boot Image ( see image above to know how to choose Boot Image). The Boot Image is located in the boot folder of OS files. Just check or see the file which is named as etfsboot.com (or simply etfsboot) in the boot folder. 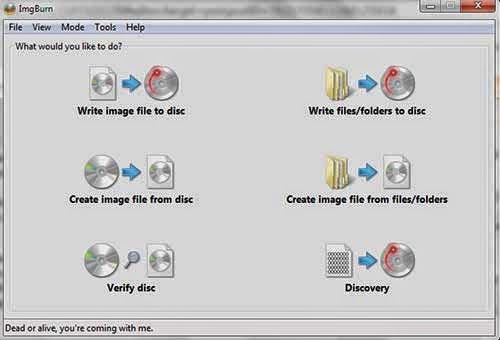 We have finished all the steps in creating Bootable ISO Windows OS File. Click on Build button to continue building ISO Image file. Follow the steps and allow everything that ImgBurn requires and you're done. Above given steps are too complicated? See the video tutorial explained below or drop a comment. You may like to know how to change Windows 7 logon wallpaper. If you are making your Windows 7 bootable ISO than you can also use Win 7 ISO Maker. You can now use this bootable ISO file for installing Windows and using this file as bootable Pendrive and DVD drive. If you want to use this ISO as bootable DVD drive than just burn it on the DVD.